15% off on orders over $49.99 with coupon code DIYH15 (EXP: 04/30/2019). 20% off on orders over $99.99 with coupon code DIYH20 (EXP: 04/30/2019). PACKAGE & DIMENSION --- Price is for 1 pc. Each bag measures: Width: 10-1/2 inch (27 cm); Height: 13-1/2 inch (34 cm). 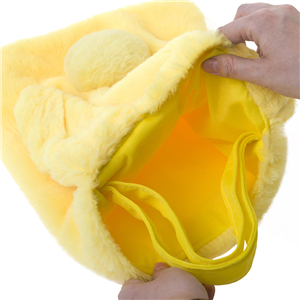 The bag features a handle and is durable enough! The capacity is enough to fit goodies. PRODUCT MATERAIL --- Plush fabric outside and polyester inside. 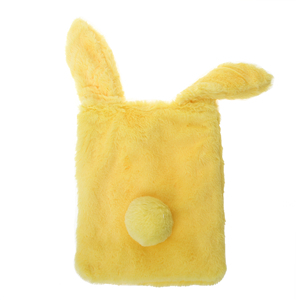 Reusable and Durable Easter gift bag, handwashed and hang to dry. SUITABLE FOR KIDS --- It's suitable for yous kids. Ideal for storage of Easter eggs, candy, surprises, treats, small toys, gifts, or fill with seasonal candy. Your little child can use this bag year after year. MULTIPLE USES --- Not just an Easter egg basket, this bag has multiple uses. 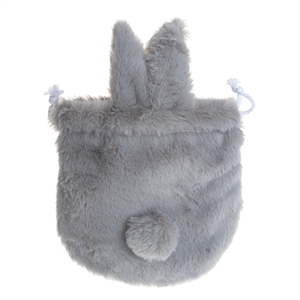 Bunny bags can be used for gift giving, nursery decorations, baby showers, rabbit themed parties, school celebrations, grocery store shopping, and even for other holidays such as Halloween and Christmas. Each bag measures: Width: 10-1/2 inch (27 cm); Height: 13-1/2 inch (34 cm). 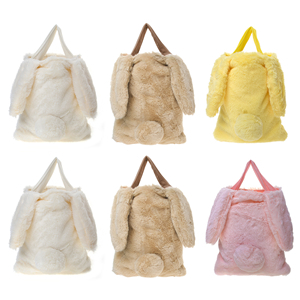 Each bag measures: Width: 7 inch (17 cm); Height: 7 inch (17 cm). Plush fabric outside and polyester inside. 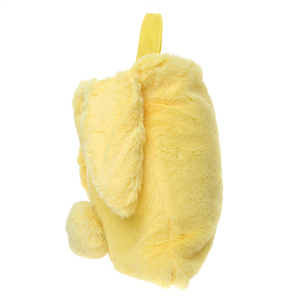 Reusable and Durable Easter gift bag, handwashed and hang to dry. 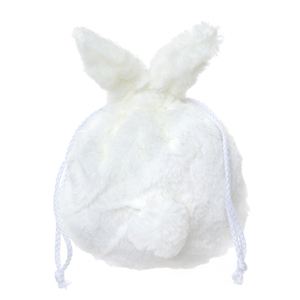 These Easter bunny bags are designed in a lovely bunny ear style, simple and refined with fine workmanship, lightweight, great for Easter celebration decoration, use as gift basket or fill this basket with Easter sweets for your little honey bunny or let them fill with eggs on their exciting Easter egg hunt. It's suitable for yous kids. Ideal for storage of Easter eggs, candy, surprises, treats, small toys, gifts, or fill with seasonal candy. Your little child can use this bag year after year. Not just an Easter egg basket, this bag has multiple uses. 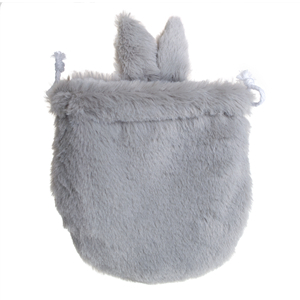 Bunny bags can be used for gift giving, nursery decorations, baby showers, rabbit themed parties, school celebrations, grocery store shopping, and even for other holidays such as Halloween and Christmas. It's suitable for yous kids ( above 5 years old ). 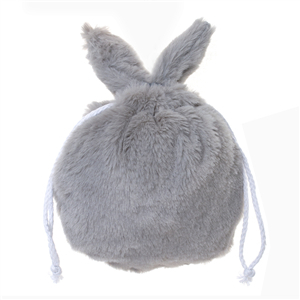 Ideal for storage of Easter eggs, candy, surprises, treats, small toys, gifts, or fill with seasonal candy. 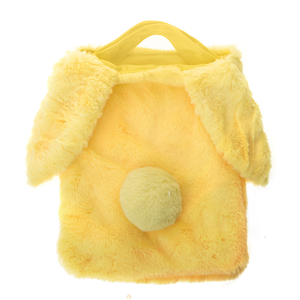 Your little child can use this bag year after year.